European plumbers, carpenters and electricians will be delighted to read this: GM’s European units Opel and Vauxhall – in collaboration with Renault – have developed an all-new four-wheeled tool. 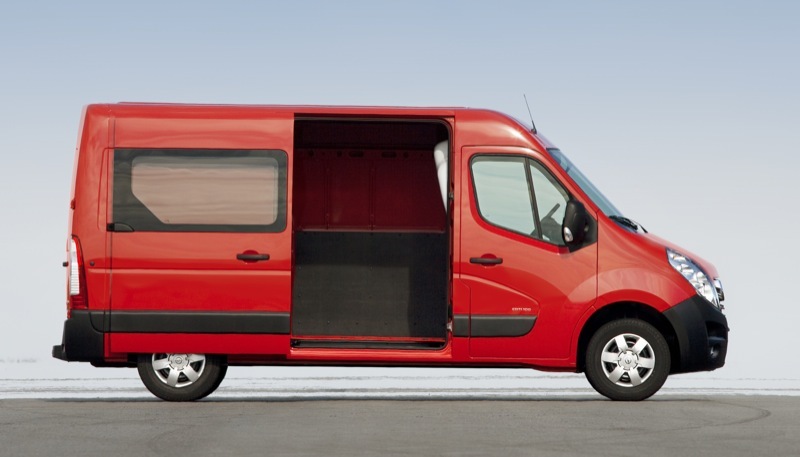 The Vauxhall Movano is Europe’s latest full-size van built from the inside-out with function in mind. According to the presser, the all-new Movano is set to offer a choice of 29 different body variations (count ’em! ), a total payload of up to 2.5 tons, class-leading cargo space, and even be available in either front or rear wheel drive depending on payload category, with the rear-wheel drive models having the option to be ordered with duallies on the rear axle. Additionally, the flexible 2.3L four-cylinder fuel-sipping common-rail diesel engine will deliver 100 hp/210 ft.-lbs., 125hp/228 ft.-lbs. or 150 hp/258 ft.-lb. options. The price? The moving utility starts at £21,660 ($35,184) – not bad considering its main competitor, the Mercedes/Freightliner/Dodge Sprinter, comes in just over that price point. 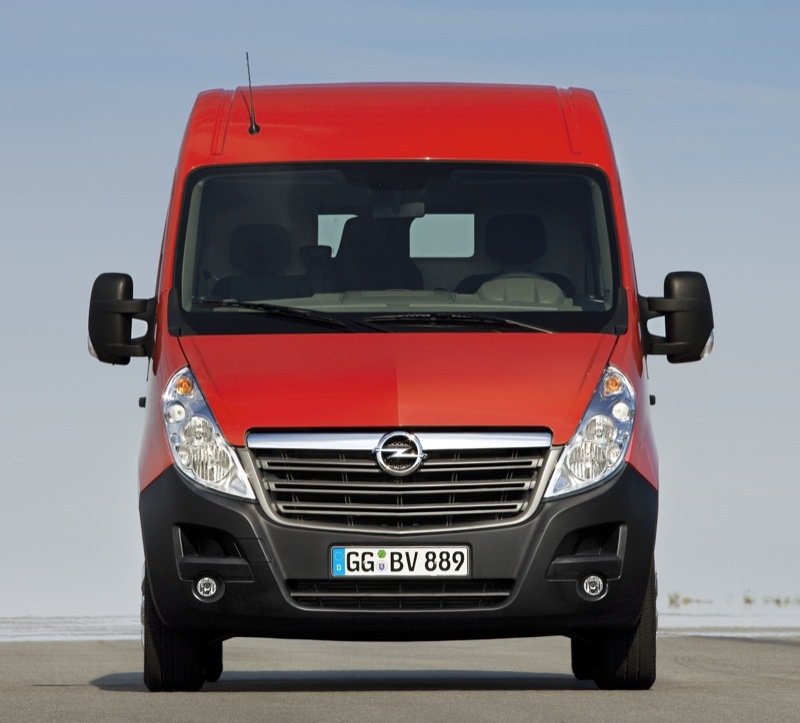 The Movano is set to go on sale in the UK in May, with the Opel variant coming later in the year to other European markets. 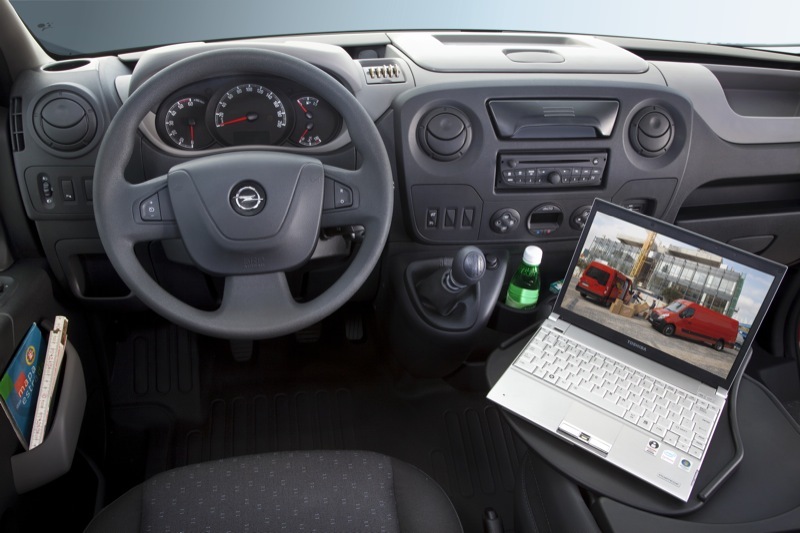 Considering that the Sprinter is already available Stateside and that not every every blue-collar worker (or fleet) can fit his/her equipment in a Ford Transit Connect – a Chevy or GMC variation can’t come fast (or soon) enough to replace GM’s aging Express and Savanna models. The Savanna and Express aren’t even in the same league as more evolved vans such as the Mercedes Sprinter (the Dodge version has ceased production) or even the Movano. Simply put, GM vans (in North America) don’t offer nearly as much versatility or options as the more utilitarian Sprinter. Therefore, GM needs a deeper line-up if it’s interested in remaining a serious contender in the commercial van space, and the Movano would be the perfect comeback vehicle. That said, if the Movano is brought to the U.S., we recommend GM make it a GMC exclusive. If GMC were The General’s only brand selling commercial vans, it would lend more credence to the Professional Grade image. The Movano would – in essence – be the flagship GMC van, slotting in above the Savanna or replacing it altogether. 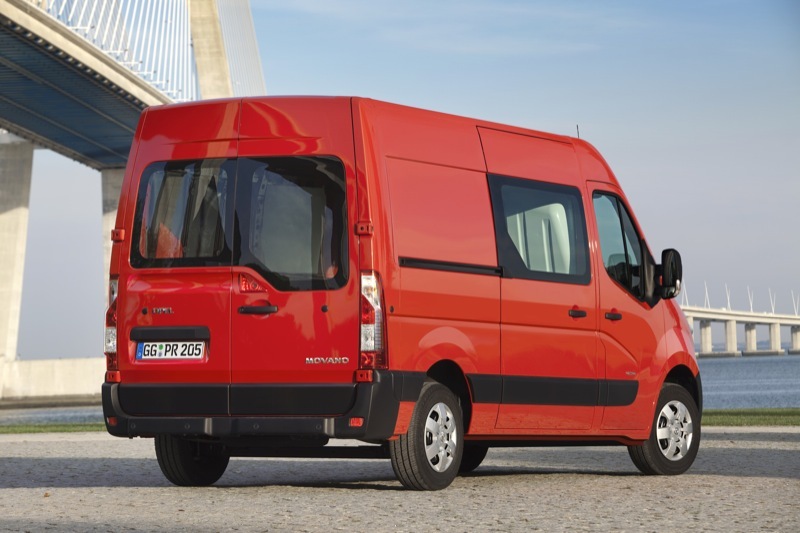 Furthermore, If GM wishes to take on the Ford TransitConnect in the low-end market, the Vauxhall Combo should be considered for North America pronto! 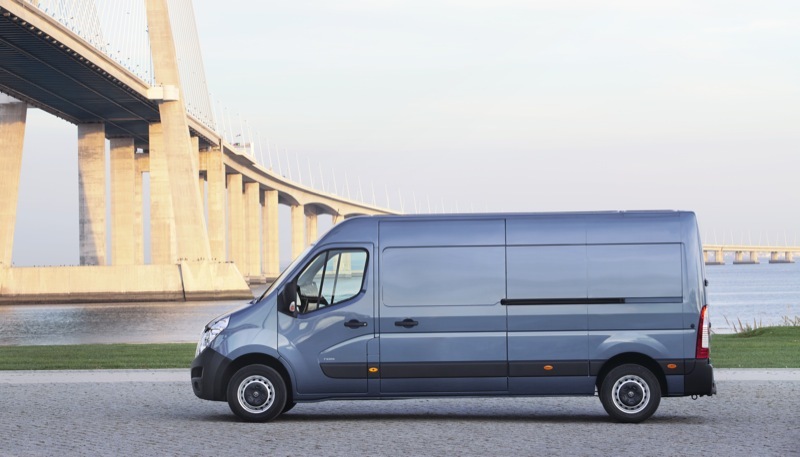 In case you were wondering: Renault’s version of the Movano is called the Renault Master. We have Vauxhall’s full presser after the break as well as this official brochure in PDF format. Update: just got our hands on images of the Opel version. 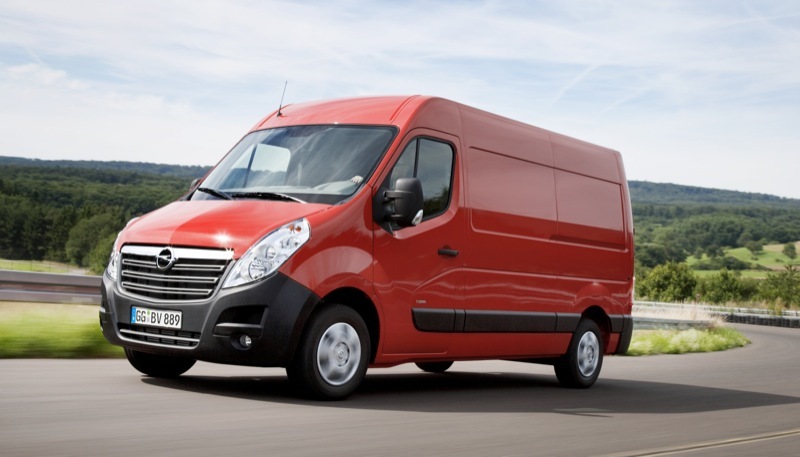 Customers for Vauxhall’s second generation Movano will be spoilt for choice when the new van goes on sale in May, with no less than 29 different body styles to choose from once all variants have come to market. 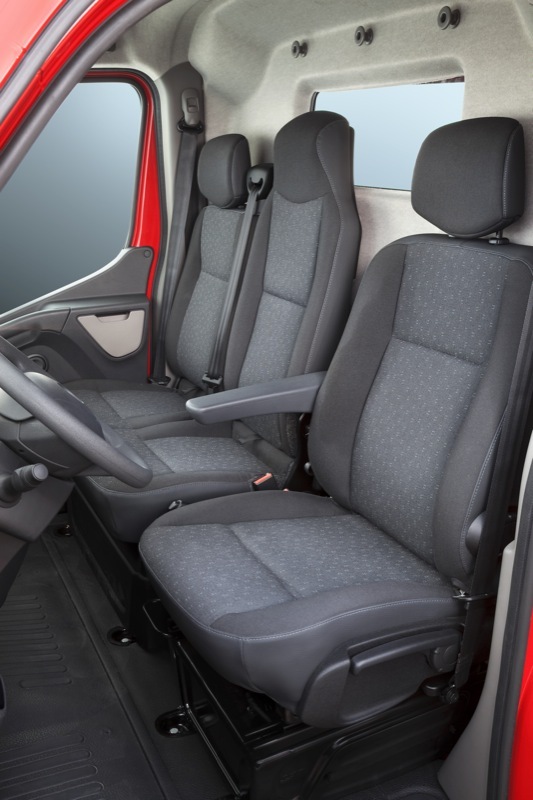 Movano’s drivers can also expect to be among the happiest and most comfortable when they get behind the wheel with special attention having been paid to cabin comfort and ergonomics, as well as to the cargo space areas. A new range of fuel-sipping common rail diesel engines ensure operators will be just as content. The modular platform, developed jointly with Renault, comes with front or rear-wheel drive depending on payload category. Rear-wheel drive variants can be ordered with twin wheels at the rear. 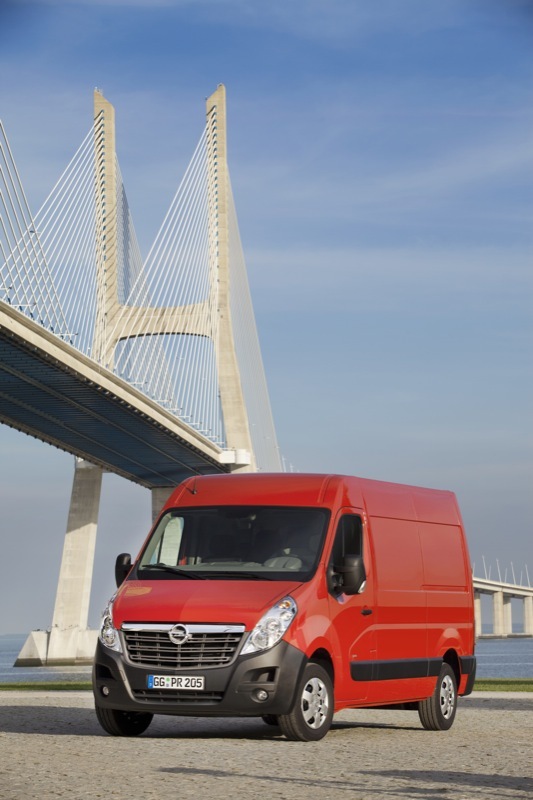 The new Vauxhall Movano will offer a wider selection of variants than most of the competition, as well as a tailor-made model for nearly every potential customer profile. The full range includes panel van, doublecab and Combi versions, chassis cabs with standard or crew cab, platform cab, three wheelbases, four vehicle lengths and three roof heights. UK prices are also announced today and start from a highly competitive £21,660 (ex.VAT) for the L2H2 3300 FWD 100PS model. New Movano is also an excellent base for conversions and will be available ex-works as a tipper, dropside and box van. 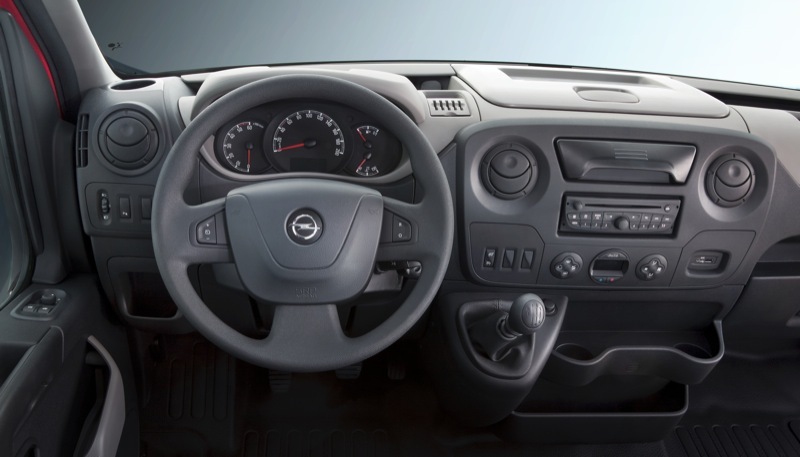 Cab comfort and safety has been enhanced in a number of areas such as driver visibility, multi-adjustable seats (in various configurations) and an adjustable steering column that allows for relaxed driving on the longest journeys. Meanwhile the options list for the new Movano has really moved the game on with items such as static cornering lights, a centre seat back that folds into a work surface and a rotating laptop table. An array of easy-to-reach storage compartments round off the Movano’s superbly practical use of space. The cargo area of the new Movano offers load lengths extending to 4.4 metres, and load capacity of up to 17 cubic metres (L4H3 version). Loading the new Movano couldn’t be simpler. Front wheel drive variants feature low sill heights while all models offer side sliding and rear access doors. Large door apertures make access for large loads and Euro palettes easy. Under the bonnet, a new generation of 2.3 CDTi four-cylinder common-rail diesel engines combine strong performance with low operating costs. Three power outputs are available: 100PS/285 Nm, 125 PS/310 Nm and 150PS/350 Nm. All engines come with a six-speed gearbox as standard and are Euro 4 or Euro 5 (with DPF) compliant. The 125PS and 150PS versions can be coupled with the semi-auto Techshift transmission. New Movano’s fuel consumption is expected to be among best in class when all versions are launched, depending on model and engine. Increased fuel efficiency isn’t the only way new Movano owners will save money. The new engines are now designed with a 250,000 mile lifespan while extended mileage service intervals and reduced maintenance costs are an added bonus. Movano’s advanced chassis has been tuned to be agile but also comfortable, both when loaded and empty. Active and passive safety equipment includes ABS brakes with electronic brake force distribution (EBD) as standard on all models while electronic stability program (ESP) is also standard on rear-wheel drive and optional for front-wheel drive versions. Passive safety features include front airbags, side airbags integrated in the seats (optional) and seat-belt pretensioners. 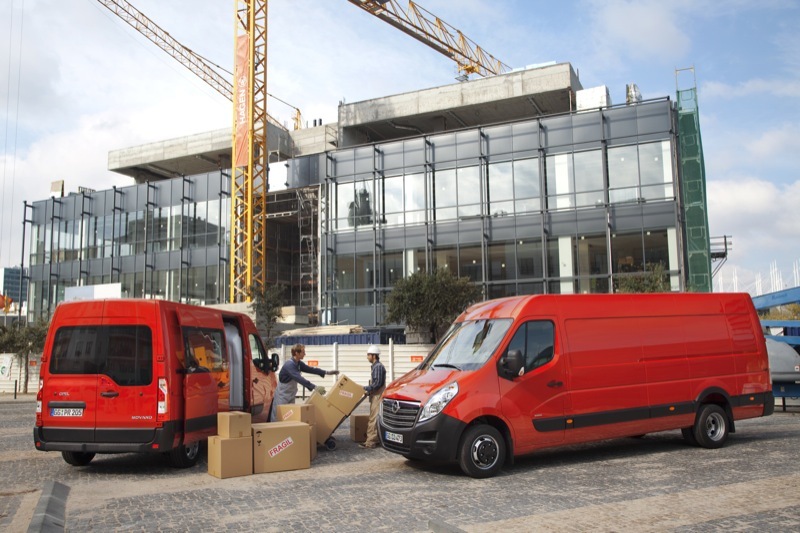 The launch phase of the new Movano will be staggered according to the body variants and vehicles will be available in the UK from May. Having owned both Chevy Express and “advanced” Sprinter vans…..every time give me the reliable truck based Express vs the car based money pit of German engineering called Sprinter. I hope GM gives us a real van not another Euro car box.